Before citing the article Reincarnation as the Soul’s Way to God by A. Loginov, I would like to highlight some theses by Clement of Alexandria. Faith is an act of choice, an act of construction of one’s own set of consciousness, for which man is totally responsible. Through faith man can model a future situation, making it possible to secure himself against numerous troubles. Only a religious (spiritual) person understands that behind the external chaos there is a transcendental personality who has brought us into existence, that life here is only a preparation to the eternal life, and that the sense of life is in the afterlife existence which is a summit of bliss. Possessing such an attitude, one can easily overcome all hardships of the life here. The believer’s goal is learning of God – gnosis, i.e. mystical and spiritual knowledge. Such superior understanding of God is contrasted with the moral and legal knowledge and compliance with the letter of the Holy Writ as most Christians content themselves with. Besides, I would like to draw your attention to a very interesting nuance: in the below article there is a mention of archons. It turns out that the first Christians and Gnostic tradition followers called the source of evil archon which in translation from Greek means “prince”, “lord”. Thus, they emphasized his feature that is the most crucial for a human being: he holds the human soul in his power. Archon-Satan rules over this world and is its “holder” – cosmocrat in Greek (Ephesians 6:12). At that, the archon is as if an aggregate of “authorities” he has generated. Christ called the lord of this world and human enemy exactly the archon – “the prince” (John 12:31, 14:30, 16:11), and thus Gnostics called Satan as well. Anastasia Novykh wrote plenty of details on archons in her books, surely quoting Rigden Djappo (Igor Danilov). A detailed story of how archons emerged and developed is described in Sensei-IV book, the contents of which are presented on our website. The teaching of reincarnation is a subject extremely painful for contemporary Christianity. It has long been disputed whether such teaching was in the initial version of Christian religion. In such disputes supporters of the Orthodox doctrine usually refer to resolutions of ecumenical councils and to writings of church fathers. However, to reconstruct early Christian beliefs, in particular an answer to the question whether the teaching of reincarnation was in early Christianity, one should refer not to 4-7 century AD sources (as church apologists do), but rather to texts created during the first two centuries after Christ. Major scriptures of that time were surely the New Testament texts, but we won’t consider them herein. This article is dedicated to brief analysis of a single text of that time – the Stromata (“Carpets” or “Miscellanies”) treatise written by one of the most famous theologians of early Christianity – Clement of Alexandria. Titus Flavius Clemens (about 150-215 AD) lived a major part of his life in Alexandria, Egypt, where he taught at the Catechetical School of Alexandria. Besides Christian religion subjects taught prior to baptism, there were secular disciplines in the school, including ancient philosophy. After Clement’s death some early Christian writers called him the saint, though he was not included in the official list of Orthodox saints. 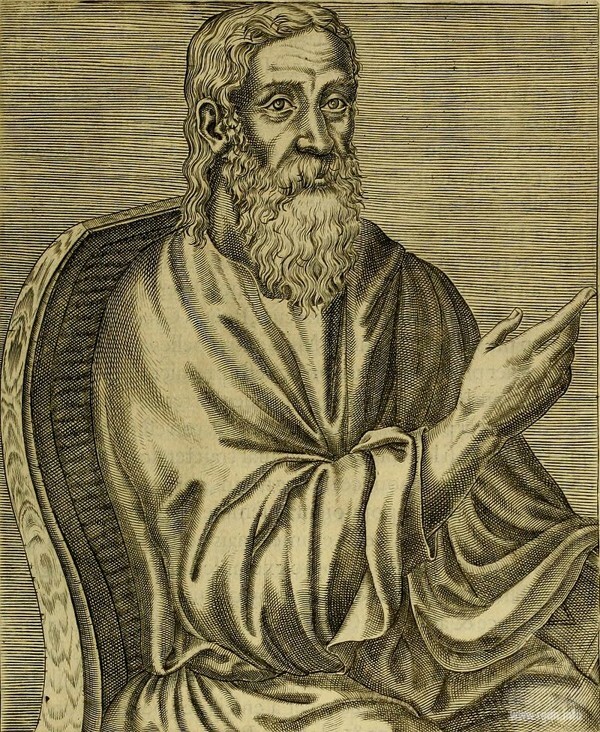 Clement of Alexandria wrote several works, of which the Stromata are the most important extant one. This treatise contains fundamentals of the Christian faith and basics of gnosis – a secret verbal tradition that originated from Jesus Christ Himself. By the Clement’s time in Christianity there already existed a gap between Gnosticism and emerging Orthodoxy. Clement’s position in the confrontation was quite special: he rigidly criticised “false knowledge” of various Gnostic schools, yet tried to familiarize readers with the basics of gnosis – a special verbal tradition preserved by a select few within the church. According to the apologist, the gnosis was not included in the canonical Gospels and Apostolic Letters. “...The highest knowledge, transferred from generation to generation by means of no special writings and communicated to a few apostles earlier than to everyone else, has reached us by continuity as well.” He deliberately does this in a fragmentary and obscure manner. “Some things here I will pass over in silence or only give a hint. Yet, I will elucidate some of such things in more detail, whereas others I will only name.” The reason: unpreparedness of most readers for the secret knowledge of Christian mysticism: “And certain things that I even recalled I deliberately omitted, fearing to write down what I bewared of talking about... I feared to lead my audience astray and be blamed for giving a sword to a child.” One of the aspects of the secret verbal knowledge is the teaching of reincarnation which Clement refers to in a nutshell, just hinting, and only prepared readers can understand it. At that, it should first be mentioned that Clement of Alexandria was a supporter of the soul pre-existence teaching. He believed that the human centre emerges not at conception, but much earlier – in the Kingdom of God. The immortal human essence, which Clement called the soul and which is currently called the spirit, descends to this world, and after the body death it has a chance to return to its “heavenly motherland”. The soul pre-existence teaching was anathematized at the V Ecumenical Council in 553. For Clement who lived four centuries before the Council pre-existence of the human spiritual core was beyond any doubt, and he mentioned this many times in the Stromata. “God has created us naturally social and just; whence justice must not be said to take its rise from implantation alone. But the good imparted by creation is to be conceived of as excited by the commandment; the soul being trained to be willing to select what is noblest.” According to this saying by Clement, people were created by God for the sake of their soul “training”. The soul pre-existence teaching is reflected in the following words of the apologist: “We must, as it fit, in investigating the nature of the body and the essence of the soul, apprehend the end of each, and not regard death as an evil… For the end of all things is death. But now, being made free from sin, and become servants to God, you have your fruit unto holiness, and the end everlasting life.” Thus, Clement says, death shouldn’t be regarded as evil, for it’s the end of all things, but a righteous person can achieve the everlasting life. Another record in favour of the soul pre-existence: “...Peter, on seeing his wife led to death, rejoiced on account of her call and conveyance home.” “Home” or the place of the initial emergence of human souls is how Clement calls “the Highest”, i.e. the Kingdom of Heaven. Thus, souls existed in a blissful state of excellence and then for some reason “fell out” of their heavenly home into this would of sins and sufferings. Hence, soul salvation means deliverance of souls from this world and their restoration in the primordial state. Based on the idea of pre-existence, the soul’s life starts not at conception and is to end with restoration in the Kingdom of Heaven. However, since most people are not pure in heart, how can they return to their “heavenly motherland”? Will they be forgiven and get blessed “for nothing”, not being ready for that and even not believing in God? No, one needs to be freely willing to be saved, according to Clement: “…neither is God involuntarily good, as the fire is warming; but in Him the imparting of good things is voluntary, even if He receives the request previously. Nor shall he who is saved be saved against his will, for he is not inanimate; but he will above all voluntarily and of free choice speed to salvation.” So, only one way remains: to be saved everyone needs to live several lives in different incarnations over which they will achieve a relevant level of spiritual perfection. Same conclusion can be made based on another Clement’s statement regarding the restoration-apocatastasis: “The purpose of birth is learning and perception, while the purpose of death is further restoration.” People are born in order to learn gnosis, i.e. to gain spiritual experience and restore themselves in the Kingdom of Heaven after death. Yet, within one life only a few gain spiritual experience sufficient for salvation. That is, the majority of people will not be able to achieve restoration within one life, and so they will have to make a new attempt at spiritual learning in a new incarnation on the earth. 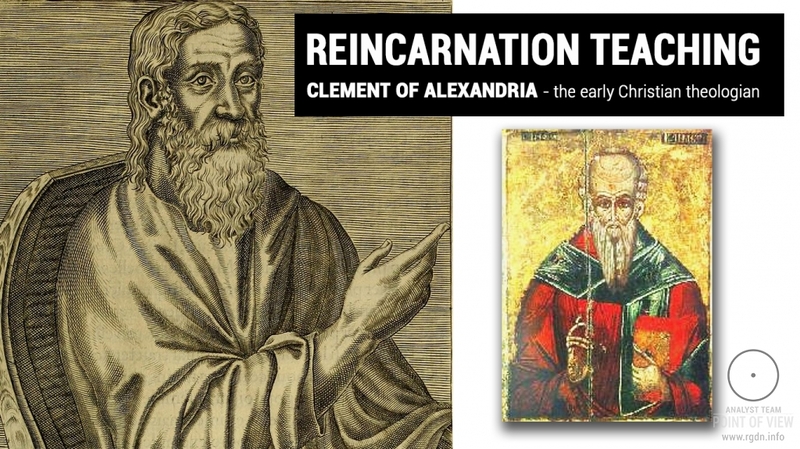 However, Clement of Alexandria does not confine himself to indirect indications of reincarnation, but describes it frankly. The first statement made by the apologist on the subject appears expressly “dark”: “...But with reference to these dogmas, whether the soul is changed to another body, also of the devil, at the proper time mention will be made.” It seems like the apologist dodges a clear – positive or negative – answer to his own question. Nonetheless, if he were an opponent of the reincarnation teaching nothing prevented him from saying it straight. Moreover, the aforesaid short statement basically contains acknowledgement of the reincarnation, and Clement communicates the devil’s role in the body change by the soul. Hence, Clement admits reincarnation taking place due to the other-worldly force that is hostile to a human being. Reincarnation turns out to be evil, and a person’s goal is to terminate his / her births in the world of sufferings and his / her alienation from God. This fully complies with the early Christian idea of salvation the purpose of which was human liberation from living in the earthly world. Apostle Paul wrote that the Saviour “gave Himself... to rescue us from the present evil age” (Galatians 1:4). Since all of us will inevitably die, the rescue from the evil “age” (living in this world) and salvation means termination of further incarnations. Instead of being born again in the world of sufferings, the soul – the eternal human essence – moves to the Kingdom of Heaven. This is exactly what the devil and demons impede, for they exist owing to human souls enslaved by this “age”. The Stromata contains no specific explanation of the devil’s role in reincarnation, but we can learn it from one of the most significant Gnostic texts – the Apocryphon of John3. According to the latter, the soul that is unaware of the way to salvation and fails to liberate itself from “sly affairs” will face the following in the afterlife: “And after it comes out of (the body), it is handed over to the authorities4, who came into being through the archon, and they bind it with chains and cast it into prison (of the body – A.L. ), and consort with it until it is liberated from the forgetfulness and acquires knowledge." By “authorities” the other-worldly forces are meant here, which influence human soul and generate passions as the “mover” of sin. Manifestations and actions of the authorities are diverse, but they are united in a single force that generates all evil. Such force is commonly personified as and named the Satan (Hebrew: “opponent”, “contradictor”) or devil (Greek: “slanderer”). The first generations of Christians and Gnostic tradition supporters called the source of evil archon which in translation from Greek means “prince”, “lord”. Thus, they emphasized his feature that is the most crucial for a human being: he holds the human soul in his power. Archon-Satan rules over this world and is its “holder” – cosmocrat in Greek (Ephesians 6:12). At that, the archon is as if an aggregate of “authorities” he has generated. Christ called the lord of this world and human enemy exactly the archon – “the prince” (John 12:31, 14:30, 16:11), and thus Gnostics called Satan as well. According to the apologist, after death all people try to pass through the other-worldly “space” that separates their soul and the Kingdom of Heaven, in which space Satan’s forces operate. Christian mystics and Gnostics professed the soul’s ascent through the kingdom of “the prince ruling in the air” (Ephesus 2:2). Sinful people, says Clement, are “whirled about” by their own passions and precipitated to the ground for new incarnation. As for passions, they are generated by demons mentioned by the apologist, or the “authorities” as Gnostics called them. These “authorities” that generate passions during one’s earthly life appear to the soul after death as horrifying images. And the sinner’s soul that has been “whirled about by the passions” and not cared about gaining virtue and spiritual experience cannot burst through “the barrier, the dividing wall of hostility” (Ephesus2:14) created by Satan. Precipitated to the ground and remaining detached from God the soul starts living in a new body. 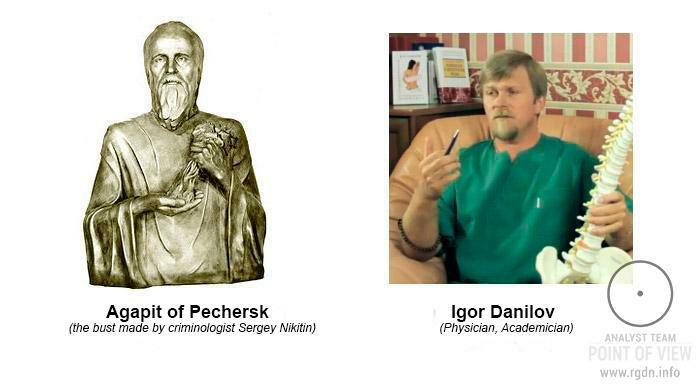 So, “images”-personalities generated by reincarnation differ by time and place of their existence on the earth, by “honours” – social status, “ministries” – spiritual growth tasks, and “heritages” – the level of spiritual evolution. Living through lives-incarnations, the soul performs “various acts of anticipative judgement”, gradually accumulates virtues and ascends, through incarnations, “for the better”. Eventually, having achieved a relevant level of spiritual perfection, the soul moves to “an abode suitable for people’s character”. In addition to a social role, every “image”-personality performs a special “service” the purpose of which is to enhance the soul’s spiritual level and atone for its sins accumulated in previous incarnations. In order to achieve salvation, one should undergo all relevant incarnations and complete all necessary “services”. At that, knowledge and grace established by Christ on the earth liberates from the protracted and painful chain of “services”-incarnations. Supported by His Spirit (Philippians 1:19), a person consciously endeavours to overcome the power of sin and escape from the “present evil age”. “Elevating the soul towards perfection, it (knowledge-gnosis – A.L.) liberates it from the necessity to purify itself otherwise and releases it from various services.” Without gnosis man can also be saved, but “otherwise” – through sufferings of earthly lives which force him to perform “various acts of anticipative judgement”. Performing their “roles” and “services”, people pass through nearly same stages of spiritual ascent. They turn out to be at one with each other in all joys and troubles, sins and virtues of the earthly life. Everyone’s destiny is just a step on the “stairway to Heaven”, which the rest of people have passed, are passing or will pass in the future. Having undergone all sufferings, each soul will return to Pleroma. According to Clement, the ascent through various “images” and “services” saves everybody, even the “egregious”. Therefore, the contradiction is resolved: how can everyone be saved (as repeatedly mentioned by Christ), if only a few people seek salvation? Only through reincarnation! The teaching of reincarnation expounded by Clement in the Stromata contradicts the conventional church doctrine of salvation, according to which after death the “image”-personality, the Self gets either rewarded or punished. Pious people go to paradise where they reside is everlasting grace, whereas sinners (the overwhelming majority) go to hell, forever as well. Orthodox Christianity says nothing about the afterlife destiny of the soul – “God’s fraction” or “the Prototype image”. Will “God’s image” the bearers of which are all people including unrepentant sinners really go to hell for eternity after death? Another question: if we do admit reincarnation, then every new “Image”, new personality as if abrogates, effaces all previous ones. Do they simply perish? In such case why would a person-“image” seek salvation, given only its part will continue existing, having no direct relation to the Self? Clement of Alexandria gives no comprehensive description of the afterlife destiny of the personality-“image”, but does distinguish it from the soul – “God’s fraction”. “There are body and soul, the five senses, speech, the power of reproduction – the intellectual or spiritual faculty, or whatever you choose to call it.” According to the apologist, the “intellectual or spiritual faculty” which is a base of the personality-Self is other than the soul. So, what happens to the “image” after death, he thinks? Clement of Alexandria communicates nothing about the afterlife destiny of the “image”-personality-Self. Nonetheless, his views may be reconstructed by one of few statements regarding the human afterlife future. “As to what they say of sleep, the very same things are to be understood of death. For each exhibits the departure of the soul, the one more, the other less…” Here, speaking of the soul, Clement means the soul-personality, the “image” that plunges into its own inner universe after death. Even while being reincarnated, the eternal essence of man preserves the “image” life, though in a different form. We can assume such afterlife is determined by the outcome of one’s earthly life and consists of images of one’s virtues and passions. Such existence will not be pleasant for everyone, since, if we trust mystics of different religions, person’s sins are horrifying in afterlife visions and cause great sufferings for their generator-Self. At that, the eternal soul, having failed to get liberated from the power of this world during the earthly life, heads for another incarnation. Certainly, here I supplement the laconic and careful statement of Clement who was unwilling to disclose the secrets of gnosis, but the base of such reconstruction are early Christian mystic texts. In particular, preservation of all generated images with the soul is mentioned in the Gospel of Thomas5 – one of the earliest Christian texts. “Jesus said, “When you see your semblance you rejoice. But when you see your images that came into existence before you, which neither die nor are made manifest (born – A.L. ), how much will you have to bear?” (Saying 84) The Saviour’s words imply that “images”-personalities do not cease to exist after physical death, and neither they come to the world for a new life. Their afterlife destiny is submersion in the inner universe of the soul. Is the submersion ultimate? The teaching of everyone’s salvation – apocatastasis originating from Christ Himself evidences it is not. “And I, when I am lifted up from the earth, will draw all people to Myself” (John 12:32). Universal salvation was propagated by Clement of Alexandria when he described the soul’s ascent on the ladder of spiritual perfection. The personality-“image” that has reached the ladder top saves the entire chain of its predecessors from sufferings. The self-saving saint, being the last one in the incarnation race, revives all former “images” and elevates them to the eternal Kingdom of God. 2. Note. Pleroma – Greek: “fullness”, the area of blissful existence that contains all “facets” of divine perfection. Pleroma consists of various aeons – “ages” or levels of God’s manifestation. Clement and other “church” Gnostics professed the eight levels of Pleroma: “the holy seven and the father’s yard” (see below), while other Gnostic schools enunciated 12 or 30 aeons. In Orthodox Christianity Pleroma is normally called the Kingdom of Heaven. 3. Note. According to the Apocryphon of John, besides reincarnation there is hell – a place where the most sinful souls are punished, while the souls that have learned the way of salvation and virtue “are not thrown into another flesh” after death and never come back to this world. 4. In the early Christian teaching authorities, as well as natures, forces, dominions designate spiritual enemies of a human being. In particular, they are often mentioned in Paul’s letters. Yet, already in the late 2nd century AD these terms disappeared from Orthodox texts and were replaced with demon adopted from ancient heathen mysticism. This may only be due to rejection of gnosis by Orthodoxy. The term demon is used by Clement as well. 5. 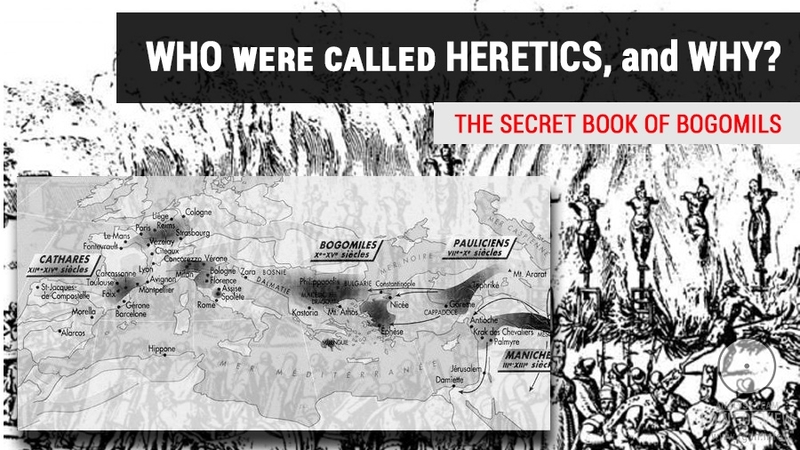 The Gospel was found in 1945 along with other Gnostic texts that are usually referred to as the Nag Hammadi Library after the place where they were discovered. Now most researchers of the Gospel of Thomas date it to the mid 1st century AD, i.e. earlier than the canonical Gospels (see e.g. works by John Crossan and Holger Kersten). In my opinion, this text was written down according to Jesus’ words during His earthly service (about 28-31 AD. See my Dating of the Gospel of Thomas. 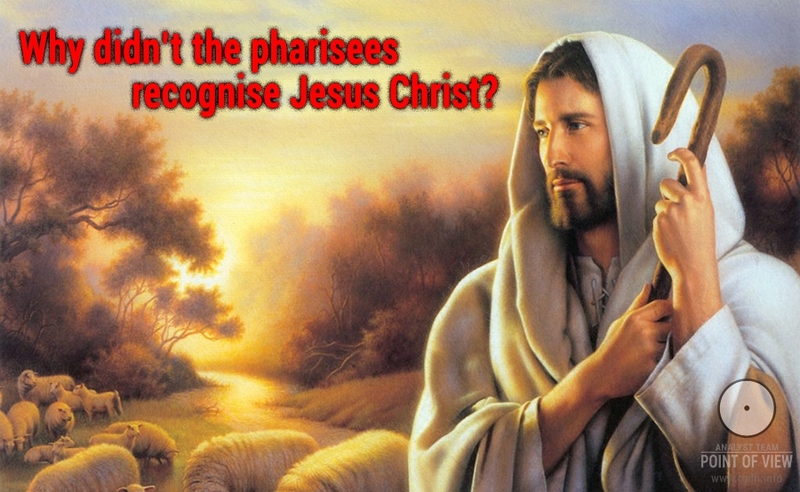 Gnosticism and Jesus’ Preaching).